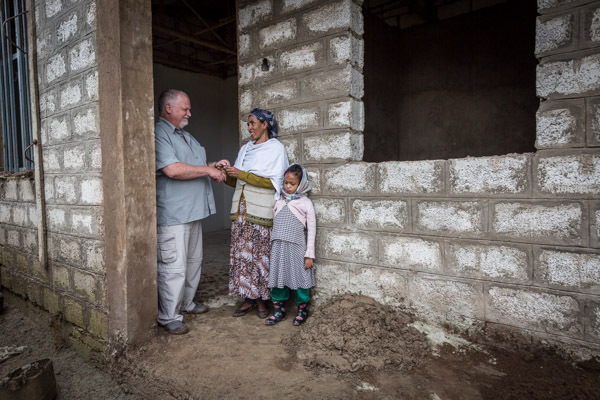 Hope and Healing International and Habitat for Humanity are partnering in Ethiopia to give homes and a future to families living with the double disadvantage of poverty and disability. Bethlehem was living in a tiny, one room shack with her grandmother, Abunework. This little family had absolutely nothing. 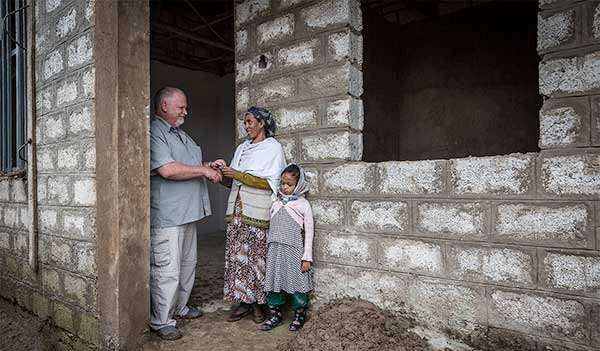 Their crumbling home provided little protection from rain, wind or cold nights. Life was very difficult. Abunework struggled to provide for Bethlehem on a widow’s pension of just $12 a month. That’s just 40 cents a day. The young girl was born with cerebral palsy, and she was orphaned at 3 months. Abunework is the only parent Bethlehem has ever known. When Bethlehem was 4 years old, her motor skills and overall development was that of a 5 month old. She couldn’t sit, stand or walk. Her grandmother didn’t know what to do. 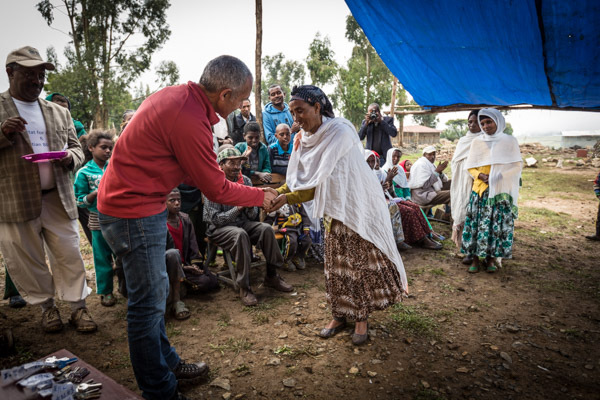 So she just gave her granddaughter the basics – food, water, love. Then Abunework heard about Hope and Healing International’s rehabilitation centre. It was only thanks to the support from donors like you that Abunework’s grandchild, Bethlehem, received the care she desperately needed. 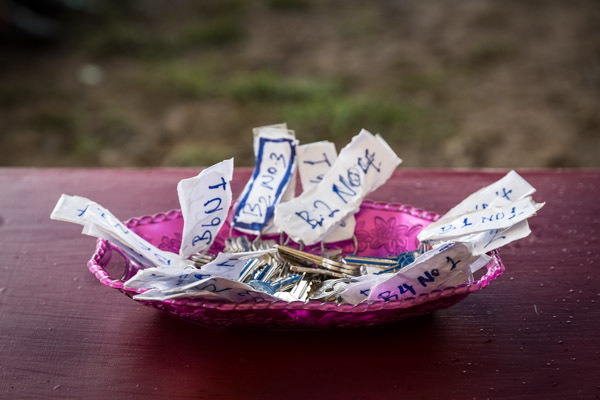 … and in addition to all that… they received the keys to a safe, accessible home. 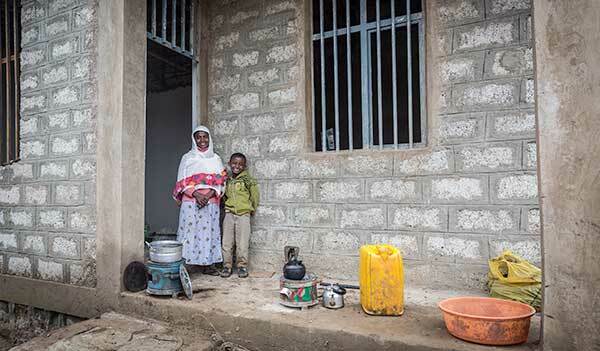 Their new home changed Bethlehem’s future — providing a healthy environment for her to thrive. Bethlehem is 8 years old now. After 3 years of hard work and determination, she stands proudly beside her grandmother, clasping her hand as she steps forward. Bethlehem is eager to go to school. And, because of the prayers and financial support of Hope and Healing International supporters, she’s ready. They are only one of 40 families living in poverty with disability selected to receive a new home AND a deed of ownership. 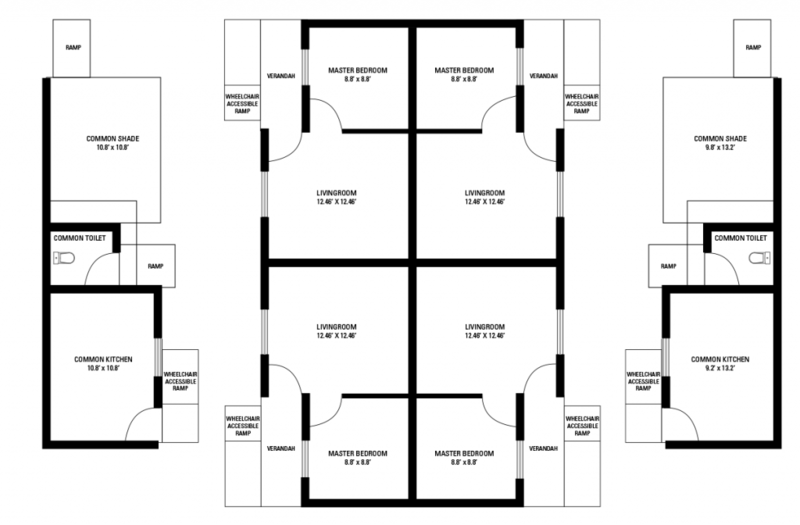 The cost to build one home is $15,000. For every dollar you give, Habitat for Humanity will give a dollar. And a Hope and Healing International leadership gift will pitch in another dollar. 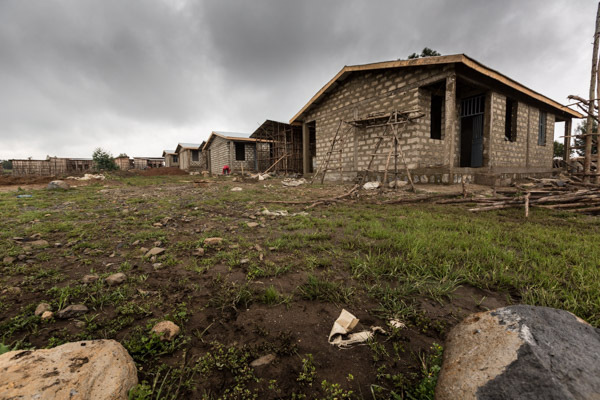 A donation of $5,000 will turn into $15,000 and it will build one complete home! 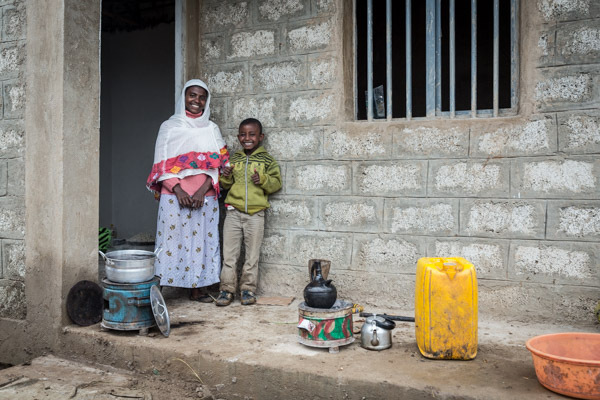 A safe home has changed Bethlehem’s future – providing a healthy environment for her to thrive, keeping this little family safe from further injury. Together, with your support, we can give 40 families living in poverty with disability a brand new, accessible place to call home. Chris Karram, Hope and Healing International supporter gives a tour of Emamu’s home where she use to live. 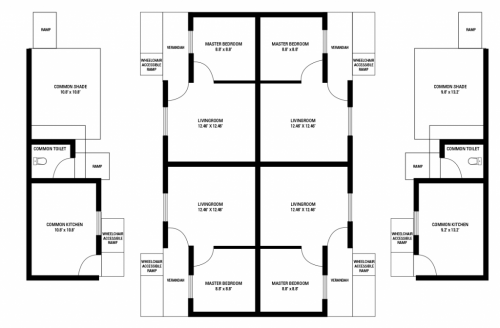 The homes are simple… just 3 or 4 rooms. But there’s a strong roof, a secure door and windows, a kitchen and bedroom. 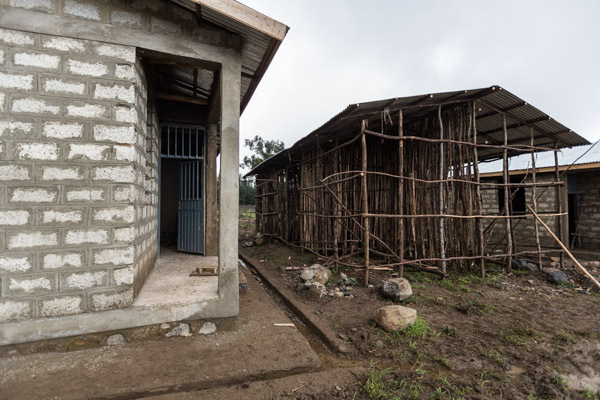 We are installing latrines, safe drinking water, and we’re teaching families about sanitation, health and finances. A safe home changes a family’s future – providing a healthy environment for a parent or a child with a disability to thrive, keeping a whole family safe from further injury and sickness. More than that, each home will be accessible, designed to meet the special needs of a child, a mom or a dad with a disability. The Key Ceremony was a beautiful and humbling experience. The pride and joy as brand-new homeowners reached out and accepted the key offered to them put a lump in my throat. As I watched Emamu reach out, I couldn’t help but think of my own girls. I wanted to cheer and laugh and cry all at the same time. The key was like a handover of dignity, of safety, of hope for the future. Home is so much more than 4 walls and a roof. 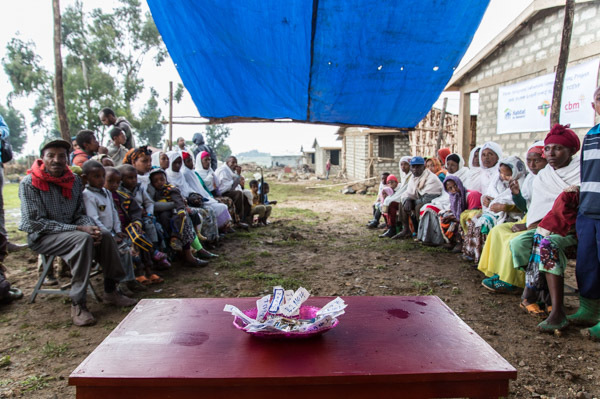 Ethiopia is Africa’s oldest independent country and it’s second largest in terms of population. Ethiopia has suffered periodic droughts and famines that lead to a long civil conflict in the 20th Century and a border war with Eritrea. 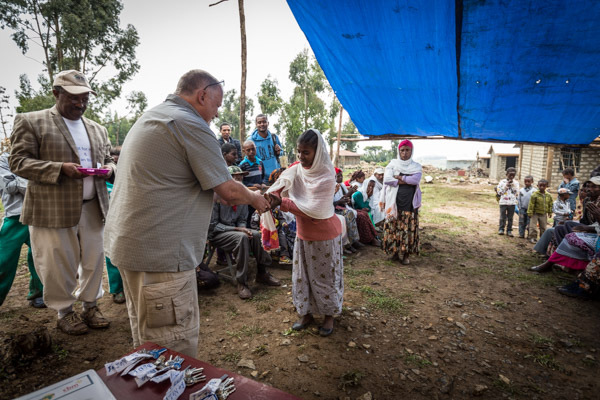 Fiche is in central Ethiopia. Inside the city, there’s a large slum. 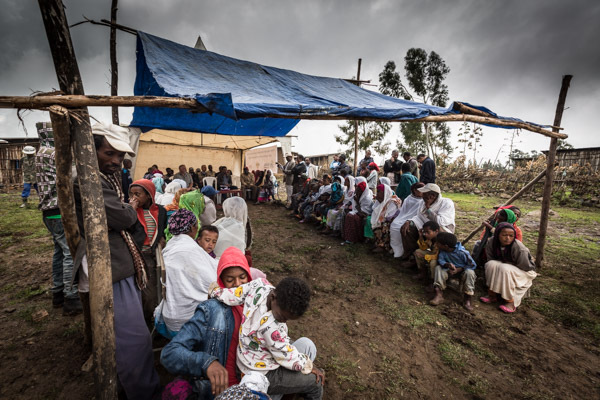 Children, parents, grandparents – sometimes even livestock – crowd into tiny shacks. Families pay rent, but they’re at risk of being evicted. 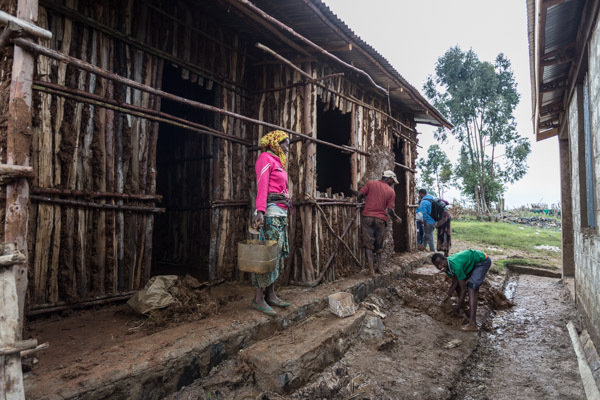 For the poorest in Fiche, crumbling homes provide little protection from the rain, wind or cold nights.